You can purchase tickets online, until Saturday 12PM. Otherwise tickets can be purchased at the door for $25. This event will take place rain or shine!!!!! Join us as we kick-off the best Halloween celebration east of New York City! 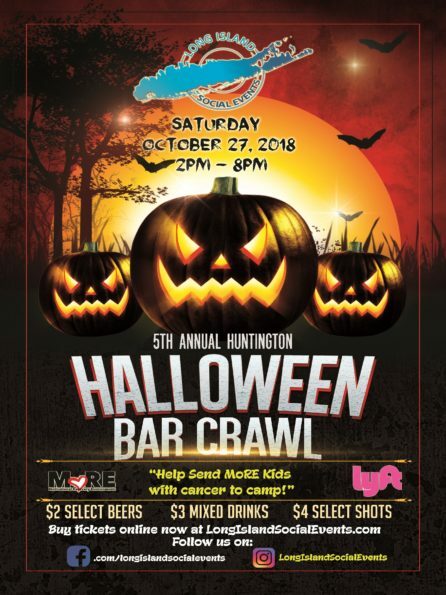 We encourage all participants to dress up and follow us as we crawl around Huntington from bar to bar sampling the best pubs on the scene. Participants enjoy great drink specials. 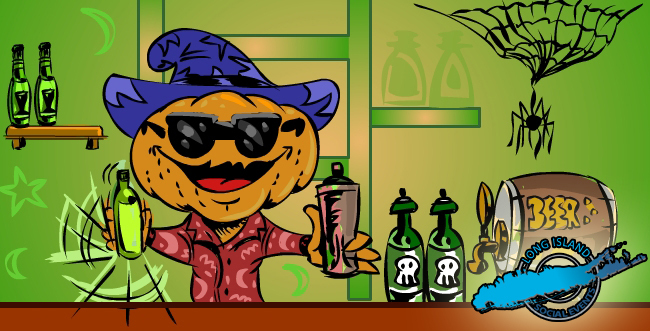 We spend about 1 hour at each bar before we move on to enjoy the next local pub. Please make sure to print out your ticket or bring it up on your phone and bring your IDs with you, this will all be checked during registration. You will receive a bracelet and a bar crawl itinerary during registration that will allow you to enjoy the drink specials. If you have any question, comments, or concerns please click here and we will get back to you as soon as possible. On this bar crawl we will be donating a portion of the proceeds to MoRE (Motivational Recovery Environments). You can click here to learn more about what they do. In short, they organize and run a one week camp on Shelter Island for children with life threatening illnesses at no cost to the campers or family. We will start the event at 2pm and it will end at 8pm. This doesn’t mean your celebration has to end here. This is just the kick-off of the Halloween celebration at one of the best downtown's east of the city. Stick around town and experience all they have to offer. For $20 off your first ride! The crawl will be on rain or shine!! !